mCloud platform is an advanced and integrated cloud hosting solution fully automated allowing the user to activate his virtual server or any other service independently and use it in just 10 minutes time, at any time, without the assistance of our staff. The platform has been developed on a highly accessible infrastructure, which is a significantly more advanced solution compared to traditional options, first of all concerning redundancy, flexibility, and stability, as well as SLA guarantees, also brings significant savings allowing the user to use as much resources as needed at a certain point of time, simply making adjustments to meet your needs. It is an unmanaged service and the user gets full access to the leased resources and can operate them independently and if he needs assistance our technical expert support will be at his disposal. 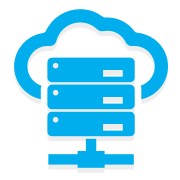 Cloud hosting – hosting for your web site with guaranteed resources and control panel quick start adjusted. No limits in the number of sites, basis, e-mail accounts and other users cannot influence functioning of your site as in case with shared hosting. Cloud server – fast SSD virtual servers with Windows or Linux operative system, using desired template or pre-installed web scripts: cPanel, WordPress, Joomla, Magento, and others. Guaranteed resources that you can modify as need independently at any time. Cloud Data Centar – your virtual data centre. Lease resources and design virtual servers independently, distributing as you wish any number of CPUs, RAM memory, size and type of discs, backup space, network interface speed, amount of internet traffic, and number of IP addresses. Ideal solution for demanding business users or owners of big sites. Domains – Registration and update of national and international domains, with over 100 attractive extensions (.rs, .com, .net, .org, .info, .expert, .me, .solutions, .photography, .company, .trade, .guru, .cool, and many others) with instant activation. SSL certificates – protect your site or application with the most popular SSL certificates available to our users with only few clicks. While ordering it you may enter your CSR immediately and depending on the selection of certificates the CSR can be quickly delivered to your e-mail address. Licenses – if you need cPanel or Microsoft licenses you can lease them and pay on monthly basis without big initial investments that you would need if you were buying them independently. DNS – our users can use for free Anycast DNS (on 14 locations), managing all DNS records independently, without the assistance of our staff and unnecessary administrative requirements and with no waiting for changes. Monitoring service – if you wish that someone boy scout your system and let you know when there is an increased demand, resources utilisation almost over, some service or port unavailable – our system can do it for you. And that’s not all. Forestall completely all organisational problems – add or change contact info for persons who should have access to your services, give them or change appropriate privileges (for insight into financial details, service technical administration, communication with us and other), avoid administrative procedures. Choose appropriate service and take full control over your online business. You don’t have to depend any more on the working hours of your hosting providers – if you prefer to work at night, on the weekends, holidays, there will be no limits whatsoever. If you wish to talk in person to us, call us to exchange experiences.